There are many advice blogs describing how to write a PhD thesis, probably about as many as there are PhD students. While the experience of producing a thesis unifies all PhD students in the end, each PhD thesis is unique. Even two theses on the same broad topic (say, radio astronomy) may look completely different, so what helps one person write their thesis may actually hold back another person. That being said, there are some more general pieces of advice that can be given, especially based on the experience of writing a thesis. I handed in my PhD thesis just over a month ago - around 200 pages and 60,000 words representing three and a half years of research work. I also wrote the entire first draft in a single weekend - and this is how I did it. The Australian National University Thesis Bootcamp (#ANUTBC) is a unique program run by Dr Inger Mewburn (@thesiswhisperer) and her dedicated team of helpers. Over the course of two and a half days, they work together with PhD students to overcome the fears and concerns that hold them back from writing, while providing a safe and comfortable environment for us to just ’shut up and write’. There’s added incentive for showing up - with neat prizes for every 5000 words written. At the end of the weekend, every student leaves having written a minimum of 5000 words. At the November bootcamp I attended, four people (including myself) wrote over 20,000 words (and recieved their coveted gold brick)! Lots of universities have a similar program. So if you’re wondering exactly what makes it so good, here’s my take! When it comes to writing, it becomes tempting to constantly self-edit. We delete and re-write sentences as we go, searching for the perfect phrasing. This may not be too un-economical if you are writing say, a blog post or even a research paper for publication. However, your thesis is long-form writing. If you agonise over the placement of every word, it means agonising over the placement of anywhere from 20,000 - 100,000 words. Learning to write without the constant need to self-edit and critique isn’t easy. For many of us, it means breaking the habits of a lifetime. The first exercise at #ANUTBC was to write an introductory paragraph with a series of prompt sentences without the use of the delete key. Sounds easy? One of the big parts of #ANUTBC is keeping a running total of words written, which means all words written. No material is deleted during #ANUTBC, and editing isn’t allowed. The three days are designed for you to write as much of your thesis as you can without the usual distractions (all food is provided, for example), not to write a polished, finished thesis. I found that the more I wrote, the more I felt OK with my writing not being perfect. Usually I’d only be satisfied (or even comfortable) with a very polished piece of writing, but seeing sections become complete gave me a real sense of accomplishment (even if they needed future editing) and motivation to write even more. The PhD thesis really is the sum of its parts, and when you’re working on your research project it’s easy to only see those parts. Prior to #ANUTBC, it is required that each participant creates a thesis roadmap and meet with a learning advisor to discuss your writing style and what you want to get out of #ANUTBC. These appointments are unique to each student, but for me, I wanted to discuss how my thesis came together to combine my very different papers into a single document. The roadmap was the single most useful thing I did as it gave me a breakdown of all my section, subsection and sub-subsection headings for my whole thesis intro, connecting chapters and conclusions. With the roadmap, I could see how my thesis came together, and if I got stuck writing one section, I could move on to another and not waste time rifling through references. There’s a reason that they don’t train military recruits as individuals. While each person at #ANUTBC was working individually, the staff created an atmosphere that felt more like we were all working toward a common goal. This was accentuated by the activity on the Sunday morning where we were paired up with another PhD student with a completely different research topic, and were given 15 minutes to come up with a pitch for a unique piece of research that combined our research areas. With the total word count for the weekend being made up of everyone’s contribution, and the shared mealtimes and activities, the whole thing felt more like we were working toward a common goal. It’s easy to get lonely on your PhD journey and lose motivation, especially when writing your thesis, but #ANUTBC directly counteracted that with the planned activities, and the positive attitude of the bootcamp leaders and Inger’s infectious enthusiasm! I was very skeptical about #ANUTBC before I attended. I even went as far as to say to friends that I wasn’t sure it would even be productive for me, as I was doing thesis by compilation and I wouldn’t have access to my references. It’s easy to underestimate thesis by compilation (where your chapters are made up of already published research you produced during your PhD). However, it can sometimes be harder to write the introduction and connecting material when you have already published the bulk of your PhD work, and it’s often surprising the amount of introductory and connecting material that is required to make the thesis a cohesive whole. Thesis by compilation is not, contrary to popular belief, simply stapling together your published papers. The thesis still needs to make sense as a single document. Inger and her team are experienced in dealing with students from all faculties and schools, and are more than familiar with the unique challenges of thesis by compilation, making #ANUTBC is the perfect place to work on your thesis by compilation. While the weekend was exhausting and at times difficult - there is very little respite and downtime, and if you are unwell like I was (I had glandular fever) and you need some time alone to recuperate from constant social interaction, it can be very challenging - it was a very rewarding experience and I recommend it to all students getting toward the end of their PhD at The Australian National University, and it is definitely worth investigating whether your institution offers a similar opportunity. Ah, the listicle. As much as people complain about them, if Buzzfeed’s enduring popularity is anything to go by, they seem to be popular. Based on empirical data from my own blog, I’ve found the listicle to be the preferred style of blog post. Last year, my blog on tips for conference attendees was very popular. So, in a similar vein, I’d like to share some tips that nobody will tell you going in to, or during, your PhD. I’ve now reached the final furlong in my own PhD (writing up), so now seems like a good time to share these tips! I’ve seen an increasing number of posts which describe “How to survive your PhD” or “Ten Tips to make the most of your PhD” (looking at you, Nature). I think they’re great, but I’ve also found they’re all the same. And a lot of them are fairly… sanitised, happy-clappy versions of a slightly dingier reality. Let’s be honest: A PhD is never going to be a bed of roses. And at the end, you are going to engage in a highly competitive process to find a job, be it in academia or in industry. I apologise in advance: I have rather a lot to say here. I hope that to one person at least, some of it will be useful! So many people joke about their hair going grey during the course of their PhD. Like many jokes, they tend to be rooted in truth. Unfortunately, doing a PhD is going to take a negative physical toll on your body. You will have less time for exercise and getting out in the sunshine, convenience foods become your friend, after a hard day it can be overwhelmingly tempting to treat yourself to a chocolate bar or a bag of crisps. You will spend hours every day sitting in an uncomfortable office chair. You will travel internationally on long-haul flights, sometimes multiple times a year. All of this is going to affect your physical health. We spend so much time talking about mental health in academia, we often neglect the very real physical effects of a PhD. In my personal experience, my PhD caused me to gain unwanted weight, develop vitamin and mineral deficiencies, and ultimately end up so run-down that I was diagnosed with Glandular fever last month, an illness that can take months to shake and causes severe fatigue. Unfortunately, I think this is common (several senior academics have shared their own stories about defending their thesis while seriously ill with glandular fever - One ended up bed-bound for six weeks following the event), and no amount of mindfulness meditation or visits to a psychologist is going to fix the physical problems a PhD can cause. Visits to a primary care physician aren’t necessarily available for everyone, especially in countries which lack affordable healthcare. However, a little care can mitigate many of these physical effects. Stocking up on healthy and affordable snacks like fresh veggies and fruit, ensuring you get adequate variety in your diet, limiting convenience foods high in fat and sugar, and getting some light to moderate exercise each week (such as by joining a sport club or hiring a badminton court once a week with colleagues) will hold off these physical effects, and improve overall mental health too. You need to talk about what you want to do after your PhD the day you begin. This probably sounds like overkill. However, it’s the reason I’ve personally had a lot of success. The first question my supervisor asked me when we sat down to talk about my PhD was “What do you want to be doing in three years time”. The answer to this question helps you and your supervisor tailor your project to your future aspirations. If they are academic, you need papers, and lots of them. If they are industry based, maybe you should go the way of patents and industry contacts. Of course, the answer to the question may change over time - and you should let your supervisor know straight away. If you’re worried they may react negatively to a change of heart, you may want to involve a mentor in that situation (see the next tip). By discussing the question of what you want to do next early on, you maximise your chances of getting to that point. It gives your supervisor and you time to help you form the connections you’re going to need to get an academic job or an internship at your dream company. It allows you to have an overall focus for your research, and it also gives you something to aim for and a goal to reach, no matter how ambitious. More on that later though. I think having these conversations enables supervisors to do their job better. It outlines right at the beginning what you’re hoping to get out of your academic relationship. Choosing a good supervisor is definitely key to getting the most out of your PhD. In my opinion, even having a panel of supervisors isn’t enough. A mentor isn’t there to help you complete your research or offer advice. A mentor is there to dispassionately evaluate your progress, and advise you on how best to achieve your career goals. I advise having two mentors: one should be very senior (although not emeritus - someone who has achieved tenure in the last 10 years but no sooner than 5 years ago is ideal) and one should be within 10 years of your own career stage (someone onto their second or third postdoc, or an early faculty appointment is ideal). Both should be in a field adjacent to your own, but should not be working on the same subject as you. Both should be in a position which you wish to see yourself at an equivalent point in your career (if you want to go into industry, for example, you should not seek out an academic mentor). Every PhD student I have ever met underestimates their capability. I’ve seen a lot of people low-ball their goals and ambitions during their PhD. The best thing my mentor ever did for me was to sit me down and tell me I was more than capable of publishing more than I thought, and aiming higher when it came to jobs. Any goals you set should be achievable, but they should also be on the very edge of what is practically achievable. There is a theory of how we learn which describes something called the ‘zone of proximal development’. This basically says that there is a range of things which are already within our capability. Things which are closer to the edge of this zone are harder, but we can still get to them using the skills we already have. A PhD goal should be just outside this zone: it requires the development of new skills, but is not so far away from what we are already capable of to be unattainable and discouraging. Goal setting is something you should work on with your supervisor and mentor. Don’t be afraid to be ambitious: it’s much better to aim high than to set an easily achievable goal and become bored in the process of getting there. I was a sensitive kid. I loathed (and still loathe) unfairness. I cried (and still cry) very easily. I grew up being constantly berated by teachers for it and being told to ‘just be more resilient’. I always wondered why I couldn’t just harden up and do it. More recently, I have. I still hate unfairness, but I’ve learned to accept that it happens. I don’t give up on things easily. I tend to choose tasks both at work and outside which are difficult and require a great deal of persistence and occasional disappointment to achieve. I’ve experienced some extremely hard times in my life which many people may never come close to experiencing. I can definitely say that I’m a resilient person. I only realised recently what had changed. I went to a talk by F-35 test pilot Tucker Hamilton. Hamilton describes resilience not as an individual quality, but something developed together with the people you surround yourself with. Surround yourself with a good, solid support network, and you can overcome almost anything. Your PhD thesis is a liquid. It seeps into the cracks and corners of your consciousness, and it will expand to fill any space you give it. Often, students allow a large amount of time for the writing up of a PhD thesis, sometimes more than six months. I’m here to tell you that even for a traditional thesis, this is unnecessary. One of the best pieces of advice my supervisor has given me recently is that I should allocate as little time as possible for my PhD thesis. This has been aided, in part, by the fact I already have upwards of 15,000 words written through my published papers, however if I was doing a traditional thesis, I’d still have only allocated around three months to complete it. As physicists, we generally think of writing as secondary, despite the fact that writing is really our primary job. To disseminate the information we’ve obtained from our experiments, we must write. One of the many things I’ve learned as I have written papers and now written the first draft of my thesis, is that us physicists must reframe how we see writing. Moving to a mindset where we see writing as our main job, and not some frivolous distraction from our experiments, is the best way to see success. This means blocking out several hours a day, every day, just to write during your thesis writeup. You’ll be finished much faster than you think. I saw the success of this change in mindset when I attended ANU’s Thesis Bootcamp, an intensive three-day writing workshop where I wrote over 20,000 words and completed the first draft of my thesis. See whether your university runs a similar workshop, or arrange your own using the advice in my next blogpost on the thesis bootcamp. This was something my mother was told by her father, and by extension told me. It’s a Northumbrian way of saying ‘don’t ask, don’t get’. I think a large proportion of success in your time as a PhD student, and what follows, is having the audacity (or gumption, to steal the term from Sera Markoff’s excellent talk slides on job applications) to ask for whatever you want. I’m not saying you should be rude about it. There are polite ways to phrase a request for things like money and resources. But many students get caught up in the trap of thinking that they, as students, aren’t allowed to ask for certain types of support. Nobody is going to come to you and offer things. This was the hardest thing for me to learn as a PhD student. If you want something: to attend a workshop, conference, to be chosen for an outreach opportunity, get a promotion (more applicable to ECRs), a new job after your PhD, or get certain types of scholarship, you have to ask for them. The greatest attribute of a PhD student, in my opinion, is having the confidence to ask for something, and the ability to take it on the chin and not get discouraged when the answer is occasionally no. A sad fact of the PhD is that you will be overworked and underpaid. In Australia, PhD students work for more than three years for less than minimum wage. Holidays can become a thing of the past as guilt sets in that we haven’t taken our work with us. I’ve even worked on Christmas day, analyzing observations. I’m here to tell you that this is untenable. One of the reasons that the PhD takes such a massive toll on peoples heath is because we don’t take adequate breaks. Between when I started my degree, and now, I see far fewer students taking breaks at morning tea and lunchtime (important: see the point on resilience). Many will forgo holidays, or else take work with them, due to the overwhelming sense of guilt if they don’t. You, reading this: I want you to get out of your chair, stretch, and go and get yourself a cup of tea or coffee. Once you finish reading this, I want you to think about when you can squeeze a 30 minute break into your day. I want you to think about when you will take your next proper holiday (no PhD allowed). I’m the random stranger on the internet telling you it’s ok to take a break, and a holiday. This post is now getting long, so I’m going to finish it there. I hope these points help, or provide food for thought. If you have any less commonly discussed PhD tips, I’d love to hear them via Twitter. As mentioned in this post, I have two more upcoming blog posts on the late-stage PhD: one on my ANU Thesis Bootcamp experience, and another on effective mentoring. Stay tuned for these in the next few days! In the months after my Grandmother and Grandfather’s death earlier this year, I took a dive into finding out more about the idea of death positivity, and how to spread it. This was partly in response to feeling I had nobody I could talk to about my grandmother’s death (aside from close family). More recently, I’ve been finding out more about becoming a funeral celebrant (fun fact: there is a large market for people who want a ‘humanist’ funeral service as opposed to a religious one, and not that many humanist celebrants out there). I don’t entirely disagree. 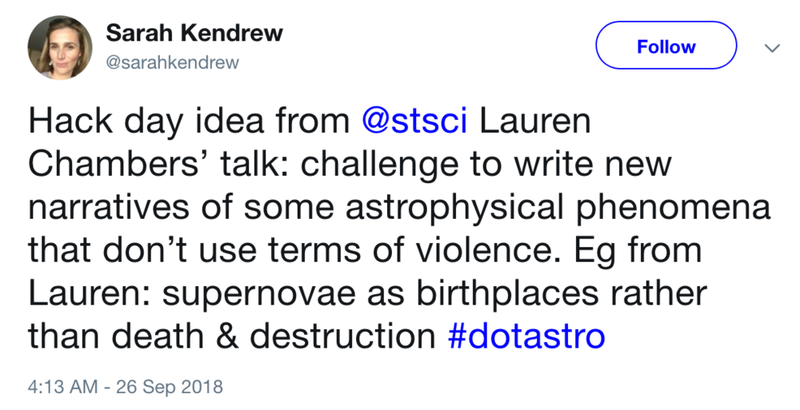 Astronomy has decided to co-opt some pretty gross terminology which I definitely think can be viewed as violent: galaxy harassment? Probably one we can do away with. However, the idea that death metaphors in astronomy are intrinsically violent? I don’t agree. In the Western world, with our deeply ingrained taboo around death and dying, we often think of death as inherently violent. When we encounter death in popular culture, it is usually as a consequence of violence. Medical dramas, shows such as “CSI” and “Criminal Minds”, and even popular soaps such as “Coronation Street” and “Home and Away” have regularly hinged their attention grabbing storylines off violent death. News stories about violent death are often sensationalised and satisfy our natural curiosity around death without actually confronting the taboos that limit us from openly talking about it. Consequently, most people will be exposed most frequently to death by violence. Even if you experience the peaceful death of a close family member on a couple of occasions, the frequency with which you are exposed to the idea of violent death via the media leads to the conflation of death and violence. So how can we use death metaphors in astronomy to undo this connotation? I spend almost all of my working life thinking about how stars die, and the processes that occur after their death. Dying stars are the factories that produce the building blocks of life. All of the things which will be left over after you die - the calcium from your bones, the iron in your blood and every other atom in your body - were all forged in the heart of a dying star. A process of creation, not one of violence. I also think about what happens to the star after the immediate moment of death. This is often the aspect of death that fills people with the most dread and horror. When it comes to death in the cosmos, the remains of a star can create something incredibly beautiful - planetary nebulae, a supernova that outshines an entire galaxy, or the beautiful outflows we see from galaxies that produce a large number of dying stars. In Western Culture, the processes that follow death are not seen as beautiful - we go to incredible lengths to cover up the natural processes of decomposition, where our atoms are returned again to the universe just like that dying star. Our fear of the natural consequences of death has not only lead to a large number of misconceptions about the corpse (for example, that corpses are disease vectors, or that it is illegal to not have a body embalmed, or that you cannot be involved in the care of the corpse) but the rise of the industry surrounding the beautification of the corpse. By talking about the incredible beauty and remarkable things that can happen in the cosmic corpses of distant stars, I really hope that I can make people take a second to think that the natural processes that occur after our deaths are beautiful in their own way and take away some of the fear and stigma that surrounds talking about death. Oh, and if I can convince someone to actually write a death plan to help their family, and choose a more ecologically sound method of interrment, as well as saving some pennies by diverging from the narratives of the Western funeral industry, that’s just bonus. p.s. When it comes to death narratives in popular Western culture, I honestly think Doctor Who probably gets it the best through it’s overarching narrative (and doesn’t usually show the results of any violent deaths) - the whole concept of rebirth is pretty great, and [spoilers] 10/10 for whoever decided to show a wicker casket in the first episode of this new season, which is an excellent, affordable and eco-friendly option if you’re in the market for a casket. Earlier this month I was invited to write a short piece for ANU's student newspaper, Woroni. You can check out the article, and Maddy McCusker's cool artwork, here. One of my current hobbies during conferences is to sit at the back of the room and count the number of people who are finishing, perfecting or, lets be honest, just starting to write their conference talk. And if we’re even more honest, I’m sure everyone at some point has been guilty of leaving finishing their slides until the session (talk) immediately before theirs, myself included. c) you haven’t had time to script and practice your talk. The first two are obvious downsides. If you’re focussing on creating your own slides, you aren’t concentrating on anyone else’s. And we all know that leaving things until the last minute can create unnecessary anxiety. 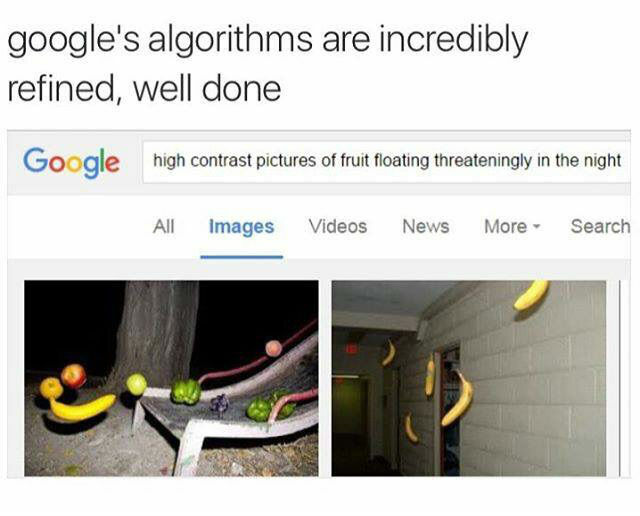 But what about c? Writing talks, especially longer talks (30+ minutes), let alone practicing the talk, can take significant time away from your research. This is probably the number one reason that devoting time to talk writing tends to get pushed to the last minute. However, there are some good reasons to not only take the extra time to prepare your talk slides, but to script and practice your talk too. While research output and productivity is measured by number of papers produced and citation metrics, you will never have a captive audience for your paper (except perhaps the reviewer). You can’t lock people you want to see your work in a room and force them to dig through 30 pages of content. Although you could lure people in with the promise of free barista coffee and then lock the door, I think this counts as kidnapping. On the other hand, a conference talk or colloquium gives you the perfect (legal) opportunity to lock people you want to see your work in a room. What’s more, you also now have the opportunity to ensure they take the correct (i.e. your) take home message away from the paper. Not only is giving the conference talk an opportunity to showcase your research, it’s also an opportunity to showcase your skills as a communicator. Communication skills are a vital soft skill in almost all jobs these days. This is especially true of the short, one minute presentations that are usually given to those who are presenting posters at a conference. A good short presentation describing your work, which is presented confidently and in a way that invites people to find out more about your research, will take your poster from excess luggage to an actual worthwhile pursuit. The idea of scripting talks is controversial. When scripting a talk, its very easy to fall into the trap of writing everything down and reading from a piece of paper (hint: do not do this at a conference). For most people, it becomes easy to avoid this pitfall by only noting down bullet points that you need to cover related to each slide. However, this still relies on a certain degree of improvisation. A well practiced script will, after a while, begin to resemble improvisation. The best conference talk I ever gave, a 20 minute invited talk, was scripted down to the last word. By the time I came to give the talk, I had thrown the paper script in the bin, along with all its directions: when to pause, when to walk around in front of the screen. Even if I was interrupted with a question, my script was so well practiced that I could simply return to my script as though nothing had happened. I probably spent around 15 hours in total practicing, from the lecture theatre at my research school to the car on the way to work. Ok, this is excessive, but its what I personally do. Being able to give a good conference talk is part of what I do. Regardless of how much detail you put into a script, you must practice and you must practice until you are confident that you can deliver the talk in the environment of the conference. This means actually practicing the talk in a lecture theatre if you can, not sitting behind your computer mumbling to yourself. While this is awkward to begin with, you will quickly identify the parts of the presentation where you stumble and hesitate, and you can work to fix this. Another reason to practice your talk is to avoid the one cardinal sin of the conference presentation: timing. A talk that runs over time only irritates people: you are the only thing standing between them and the buffet table. As soon as an astronomer hears the tell-tale clanking of the catering company putting out the donuts and coffee cups, it’s over. The shorter the talk, the worse it is if you run over time: I often think that if a 50 minute talk runs 5 minutes over, it’s ok. If a 10 minute talk runs 5 minutes over, you’ve already taken your time plus an extra half. Practicing and timing your talk is extremely important, but it only works if (as I said above) you’re practicing under the same conditions as you’re presenting. If you’re at a conference, you will have the session chair timing you and providing you countdown reminders (5 minutes to go, 2 minutes, finished, usually). Please, for the love of God, look at the damn session chair. As nervous as you may be, it’s a nightmare to be a session chair and to spend 5 minutes trying to get the speaker’s attention to tell them they’re finished. Different session chairs have different levels of aggression over this: some will stand up and take the microphone away (I’ve seen this done) and some will just let you go on forever. Whatever you do, keep the chair and their timing signs in your field of view, and try to acknowledge them no matter how nervous you are. Overall, I think giving talks is important, be it at conferences or elsewhere. However, a poorly-rehearsed, planned and executed talk can actually cause more harm than good. Being an academic isn’t just about researching. Preparing for talks and conferences is work, despite the fact it isn’t your primary task. Devoting appropriate time to writing and rehearsing your talk can make all the difference to your career and opportunities. For the minutes or hour you are on stage, you have a great amount of power to communicate your science, so use it wisely. I think what sealed my fate in choosing an institution to call home for my PhD was the coffee machine. Mt Stromlo Observatory has three. Two sit in ‘Possum Hall’, a common area named because while the concrete for the floor was being poured, a rogue possum got in and left footprints (which remain to this day). I started drinking coffee around the age of 16, when I got my first job in a stationery store. Feeling like a proper grown-up, I decided that ordering a latte from the cafe down the road befitted my new grown-up status. Over the years, I went from drinking mostly hot milk, to straight black coffee. Partly because of an intolerance to dairy that I developed over the last 4 years and partly because I prefer the taste. Coffee, or hot beverages in general - not all scientists drink coffee, drives science. Offices may have water-coolers, but we have the coffee machine. At Mt Stromlo, I was very taken with the fact that almost everyone: IT, senior scientists, postdocs and students, emerge from their offices at 10:30am and line up for the coffee machine. Friendships are made (and on at least one occasion, broken) in the coffee line , collaborations spring from casual questions. The line is longer than it needs to be, because everyone knows which coffee machine is better. Henry Zovaro forgets to catch his coffee in his mug, invoking a true scientific paradox: "what do I need to do if I need coffee to figure out how to get my coffee?" My relationship with coffee machines in universities really began where I did my undergraduate years. In the physics tearoom, the coffee machine was an annoyance. Every 10 minutes or so, it would loudly blow steam through its valves. The milk tubes would block up and have to be unblocked by the weary atom-optics PhD students I spend my time with. However, the coffee machine was the focal point for all my friendships - each morning I knew I could sit and discuss problems I was stuck on with my research with the other students. I knew that I could wander down at 3pm and talk to the senior professors. The coffee machine was my first introduction to academic politics and collaboration. Ironically, I didn’t drink the coffee out of the machine, instead choosing to consume so much instant coffee that I gave myself chronic heartburn toward the end of my honors year. I travel a lot - probably more than average because my collaborators are dispersed around Europe. The most important thing when I arrive at an institution is finding out where the best coffee is. In Europe, this is a challenge. Australia is world-reknowned for having exceptional coffee. A friend who recently moved to Turin for a postdoc has even informed me that Australian coffee is superior to Italian coffee. I hope for his sake, the Italian government hasn’t bugged his phone. Recently I landed in Belfast - the first order of business for myself and my host was to avail me of the coffee situation. Having lived in Australia for a time himself, he recognised the importance of the coffee not just being available, but being good. My campus tour featured several cafes, and a run-down of the coffee quality. I enjoy finding common ground with people I work with, and often this common ground is coffee, rather than growing up under the watchful eye of parents who are dentists, emigrating multiple times and having a large portion of one’s family living in Aberdeenshire (which is the case with my Belfast host). Being British by birth, it’s even better if that common ground is something you can complain about. If you’re at Queens University Belfast, go to Junction, in the law building. Not all Australian coffee is good. If it’s coming out of a machine in an astronomy department, it can be hit and miss. 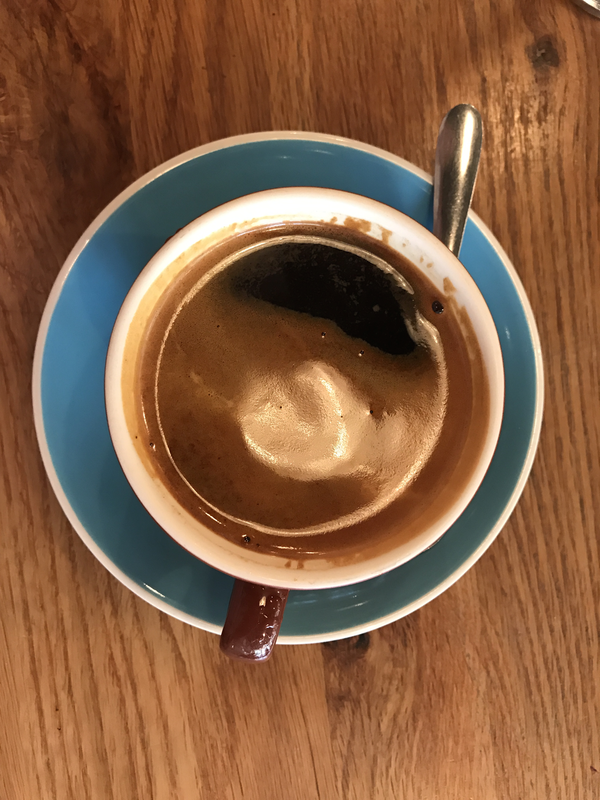 I’ll never forget the time I accidentally ordered a double espresso from the machine at the University of Western Australia node of ICRAR and was presented with something that looked like dirty engine oil, tasted like kerosene and, in the brief moments it took me to swallow it, enabled me to see through time. By a similar token, not all European coffee is bad, but it takes some time to figure out what’s what. Watch the locals. If you’re ever at the Max Planck institute for Extraterrestrial Physics in Garching, use the coffee machine in the very corner of the ground floor coffee nook - it produces twice as much coffee as the one on the left. If you’re visiting MPA, next door, make the trip and spend the 40c to get coffee from this machine because whatever came out of the urn in a sad, grey trickle has no business calling itself coffee. I’m also someone who will buy coffee for other people. One of my supervisors and I now have a tradition of trading buying one another coffee (cuts down on queue time). However, I tend to do this at known and reliable cafes. Last year, on a visit to Germany, someone kindly offered to buy me a coffee from the brand new barista coffee cart at the canteen (which has since disappeared). Somehow, my ‘black coffee’ request turned into a burnt shot of espresso. I’m one of a group of people who don’t really taste bitter things as being unpleasant (evolutionary speaking, I should be long dead. Being repulsed by bitter tastes is a protective thing) but this coffee was genuinely nasty, and honestly I’m glad the barista coffee cart disappeared from the IPP canteen. The saving grace, or so I thought, was that the espresso came with a piece of chocolate on the side. Biting into it, to wash away the taste of the coffee and not offend the person who bought it for me, who was also talking to me about job opportunities, I realised that it was in fact a chocolate-covered coffee bean. Not wanting to hurt my chance at a job in the research group, I ate it with a smile. I think sitting down with a hot drink (usually coffee) and a biscuit is what drives a lot of modern science. Even in this day and age when we mostly communicate via email, sitting face to face with our colleagues is so important. Taking half an hour for a genuine human connection over a cup of coffee isn’t a waste of time, especially for students, and should be encouraged. All great scientific ideas start somewhere, and I’d bet that the majority of them started over a cup of coffee. Welcome back to part two of this blog+YouTube video double-whammy. If you haven't read and watched Part One, make sure you go back and do so. And don't forget to watch part two of the video! And without further ado, let's continue the information dump on PhD-ing! Communicating your science is a really important skill to learn. Both David and I recommend getting involved in science communication (scicomm for short). The skills you pick up communicating your science to a general audience will also help you communicate your science to other researchers. We also need to be able to explain to the public and funding agencies what we do, why we do it, why it’s important and most importantly why they should be excited about it. Some PhD students want to do science communication and outreach, but their supervisors may dismiss this as a waste of their time. In this situation, you may want to have a discussion with your supervisor about the benefits of scicomm, and also to point out that you want to be a scientist who communicates science, not necessarily the next Neil DeGrasse Tyson or Brian Cox (who largely prioritise entertaining communication over their scientist role), although there’s nothing wrong with aiming to be the next Face of Science! Some words of caution though - if you find your scicomm time is cutting into your research time, you may need to evaluate how effectively you are spending your time. If you are enjoying the scicomm way more than the research itself, consider looking into the graduate programs that specialise in scicomm. Also, it’s a good idea to include scicomm experience in your CV, however make sure you are selective about the activities you choose. Adding every single thing you’ve done can look like excessive CV padding. Pick the particularly significant events you’ve been involved with. In David’s case, this may be the times he’s won prizes. In my case, I highlight things like my involvement in the Cassini Mission grand finale as opposed to every podcast I’ve done. Here's a gratuitous picture of Saturn from the Cassini mission. Science! Those who can, do. Those who need money while doing it, teach. Like scicomm, teaching also helps build communication skills as well as leadership skills. This is also a good way to attract new students to you research group. If you plan to stay in academia, the majority of academic roles will involve teaching in some capacity, whether it is teaching lecture courses or supervising students. Building teaching experience as a student is a good idea as this is likely to be one of the only times in your career you will have ‘spare time’ before it gets eaten up by writing grant applications, supervising students and dealing with a growing mountain of emails. And, as a student, teaching a class can be a welcome change from your usual desk or workbench! Some jobs also require you to have some teaching experience and write what is known as a teaching statement, which will describe your teaching style and how it helps students learn. For this reason, it is a good idea to request student assessments of your teaching if your university offers this. If you do want to pursue a research career, do consider trying to co-supervise an undergraduate or masters research student. Often, nobody will teach you how to be a good supervisor, but by working together with your own supervisor to mentor a younger student you can start to develop the skills you need. There are some teaching qualifications you can obtain for university teaching. Individual universities often have courses you can take (they are frequently listed as ‘professional development’ courses and they are usually open to PhD students). As with scicomm, sometimes you may find that teaching overwhelms your research. If this is the case, it may be a good time to re-evaulate your work load together with your supervisor. At the end of the day, its your research that gets you your PhD, not teaching. The kinds of problems that can impair the progress of your PhD are many and varied and there’s no way we can cover each one. They can range from your supervisor leaving, to being unable to access certain resources, to personal problems both inside and outside the institution. The key thing to know is what options and resources are available to you to deal with any problems that arise. Your institution will often have all sorts of support structures for their staff and students: Counsellors, financial aid, a diversity and equity committee and many other services. It’s good to learn about these when you start your PhD, and certainly look for them if a problem does come up that you can’t solve yourself. Your supervisor will often be the first person you can go to for help with a wide range of problems - this is why it’s important to have a good relationship with your supervisor. In general, you can help your supervisor to help you. Supervisors are often very busy people and are relying on you to be somewhat independent. You can make things more efficient by preparing as much as you can. If you are going to have a big meeting with them, put together an agenda. If you’re coming to them with a problem, try and have as much of the information they will need as you can already to hand. Sometimes you can find yourself in a situation where the problem has been created by some kind of conflict with your supervisor. This may be due to something like not agreeing on whether or not a paper is ready for submission, but other issues can and do arise. This is why I recommend (and many universities require) having a panel of supervisors who can help mediate in these kind of situations. Another possibility is developing a relationship with a mentor who can step in to mediate if a disagreement occurs. During David’s PhD, there was a compulsory mentor scheme implemented for PhD students, where they were required to meet at least once every six months with a mentor outside of our immediate research team. He was offered a choice of mentors and picked someone who he thought would provide a very different opinion to that of my supervisors. This has helped him immensely and it has been very good to have someone who has provided a contrasting voice to his supervisors. One very common problem for PhD students is managing stress. It’s very common for stress and imposter syndrome to spill over into bigger problems like anxiety and depression. You may be surprised to find out that others around you may struggle with their mental health at times too (not necessarily limited to anxiety and depression). The important thing is that if you are feeling overwhelmed that you ask for help: all universities have counselling facilities, general practitioners and you can also access help outside the university through community programs. There are more and more online resources too. Organisations like Livin and Black Dog Institute (which has a host of excellent resources related to bipolar disorder in particular) are good places to start. Your friends can also be a port of call - in summary, don’t be afraid to reach out if you’re having a tough time! Dealing with the inevitable: failure. Failures do happen, and will happen to everybody at some point. At some point you are going to have to deal with a conference talk or a paper being rejected, not getting a grant you needed, or, in rare cases, rejection of your thesis. For smaller failures, like rejection of a paper, it’s important to remember that these things happen to everybody, it does not reflect negatively on you as a researcher, and to move on to the next journal, grant, or conference. For bigger stuff, like a major grant, or even your PhD, take time to mourn, then move on. Give yourself 24 hours to feel sad about the situation, maybe even take the rest of the day off and eat ice cream for dinner, but after 24 hours, it’s time to move on, sit back down, and work out the next step, work out how you are going to fix the problem. One common place people being to feel “failure” is around receiving reviewer comments on their first paper. You will probably go through the five stages of grief: a mix of emotions, along with some anxiety or fear. This is quite normal - even experienced researchers don’t always enjoy reading feedback from a particularly harsh reviewer. Learning how to deal with the feelings you might experience about a reviewer response is part of the research process. I’ll be writing a blog in the near future with my tips and advice on the peer review process! The most important thing you can do when it comes to your thesis is start. I don’t think it’s ever too early to open a document, and start writing down bullet points about what you are doing. One other good reason for doing this is so you don’t forget all of the things you have done for your thesis. I also think it’s a good thing to keep everything you write. Even if you think it’s trash, hold onto it in a Google doc - you may find pieces that can be used and rewritten at a later date. The most important thing is to actually start writing, even if what you write isn’t that good. Your supervisors will help you edit and refine your thesis and papers, and will provide feedback on your writing to help you improve. You should also schedule some semi-regular time for writing, which is often a skill that gets de-prioritized in a science undergraduate degree and is hence a skill you will likely have to work harder at developing. Starting a blog (or taking to a microblogging platform like Twitter) can actually help improve your scientific writing skills. Another way to improve your writing is to read more scientific papers and theses in your field. This will help you ‘hear’ the kind of voice you need to be writing in for publications and your thesis. When it comes to writing, like many aspects of research, you will find that ‘perfect’ is often the enemy of ‘good’ or even ‘finished’. You can spend so long making things just so that you may never actually finish the thing you started. At the end of the day, your PhD thesis has to be finished in order to be submitted, and that doesn’t mean it will be perfect. Perfectionism is a good trait when handled correctly, but it can lead to problems including, in some cases, anxiety and depression. This podcast from the ABC is a great discussion of how to work with perfectionism. If you do find this getting in the way of your work (which has happened to me), you could even work through this resource together with your supervisor. This info didn’t end up in the video, but both David and I could talk for months about Twitter. I’ve been using Twitter for almost ten years now, and I’m a certified Twitter addict (I have to turn off notifications or else I spend all day replying to people and scrolling endlessly). David was more reluctant, but looking back wishes he’d started using it earlier. One really great reason to get on Twitter is related to networking. More and more scientists are getting involved in Twitter, and it’s a fantastic way to communicate with scientists during, before and after conferences in particular. In fact, David and I met briefly at a conference in 2016, followed each other on Twitter, and David has been annoying me ever since (his words, not mine)! My big recommendation if you do get a Twitter account is to be yourself. Personally, I mostly avoid making political statements and for students, I would recommend this approach. However, getting involved in politics seems to work very well for people like Katie Mack and Twitter user @skullsinthestars. While David and I share science, we also share some details about our lives both related to (and not related to) research as well as the odd cute animal. One thing I like to try and achieve with Twitter is to communicate some of the science ideas I find interesting as well as showing that I have a life outside of astronomy and work. Your can follow Fiona at @FiPanther and David at @DRG_physics. Both Twitter feeds are full of cool science, comments on the life of a researcher, and the occasional cute animal. Overall, there can be a lot to consider when you decide to pursue a PhD, but both David and I would agree that it has been mostly a positive experience. While not every minute will be filled with fun, everything you encounter during your PhD can have a positive outcome. Even the hard bits can be viewed as a learning experience and a way to build the resilience you will need for a successful research career. Welcome to something a little bit different - this is the first time I’ve worked on a blog post in collaboration with someone else (because I’m a real control freak about content), and what’s more, it’s the first time I’ve written a blog post in conjunction with a YouTube video. I’d like to introduce you all to David Gozzard. David recently completed his PhD at the University of Western Australia. We met at a conference in 2016, and have stayed in touch (predominantly through Twitter) since then. You can follow David on Twitter here, and don’t forget to check out his blog and YouTube channel too! Somehow this is the only photo I have that has both of us in it. I really miss my 2016 haircut now. Earlier this year, David and I recorded two videos worth of footage of us talking about some of the ways we’ve navigated out PhD experience, and collecting together some advice we often give students who are just starting out (or even further though) their own PhD. You can check out part one of the video here, and below are some notes based on the video that you can come back to later! I’ve always pointed out that your relationship with your supervisor is likely to be one of the most significant during your PhD (or maybe this is a sad reflection on my life). You will be working with your primary supervisor for at least three years, and during this time you will have successes, failures, agreements and disagreements. Consequently, picking a supervisor based on the fact they are just a big name in their field isn’t necessarily the best idea. As I point out in the video, a good litmus test for me was picking a person that I got along with well outside of a research context: someone I could sit down, have a cup of tea or coffee with, and talk about something other than research. As David points out, choosing a good supervisor for you should play a part in the PhD project you ultimately pick. While it’s a good idea to have a rough idea of the field you’re interested in, a good supervisor can tailor a project to complement both of your strengths. Both David and I were lucky enough to have spent time with our respective supervisors prior to committing to a long term supervisor-student relationship. A summer project or internship can be a good opportunity to ‘try before you buy’ with regards to working with a particular supervisor. Failing this, it can be a good idea to talk to a prospective supervisor’s existing students. They will give you insight into what day to day life working with the supervisor is actually like. So you've arrived for your first day as a PhD student. Don't worry, the shine will soon rub off and you'll be just as salty as that one student who's been here for like 7 years in no time. In the meantime, enjoy the abundance of enthusiasm while it lasts. David strongly recommends checking out online resources from iThinkWell. Run by Hugh Kearns, from Flinders University, these resources have been compiled and developed over many years to help out new PhD students. Hugh has both a Facebook and Twitter page. When you start your PhD, you may be moving to a new institution - this was my experience. However, the following still rings true if you are remaining at the institution you got your undergrad degree at like David did: your first week or so should be spent acquainting yourself with other new and existing students, and researchers. The relationships you will develop with other researchers as a PhD student will be quite different to those you had as an undergraduate student. It is likely you will have to identify a supervisory panel of 2-5 people in addition to your primary supervisor, so this is a good time to make connections! As David says, you need to not only get to know your supervisors, but your fellow students, other researchers and the admin staff too. Everyone around you has a different set of skills and knowledge and can help you. Don’t be afraid to ask questions of these people whether it’s about some technical aspect of research, or how to connect to the workplace printer or how to work the coffee machine. Most people are more than happy to help! So you’ve started your PhD and chosen a supervisor. Chances are, you’re going to be spending a lot of time reading papers to get to know your area of research better. When you first start reading papers it can seem daunting, and it can be time consuming, and you will find that you won’t understand everything you read in the first weeks and months (and maybe years) so it’s important to go back to significant papers over the course of your PhD. As David says, you can make notes on what you understood, as he did, and then go back to them months later. this can be a great way to track progress! Another good idea is to seek out PhD theses from your institution and around the world, to get an idea of what a PhD thesis looks like and what might be expected of you. Reading papers is the perfect way to stay up to date with what is happening in your field, as science never stands still. Getting involved in, or organizing something like, a journal club is a great way to keep up to date with the science that is happening around you. While these can seem like a waste of time, it is a good way to build reading papers into your day or week, and watching and listening to more senior students and academic can give you some tricks for understanding and evaluating papers, and direct you to papers that are more important. Your PhD is about more than research! Work-Life balance! This section is definitely more of a case of “do as we say, not as we did”. Both David and I have been guilty of not taking adequate time away from work over the course of our PhDs. For many people, the idea of taking time off can make you feel more stressed, not relaxed like a holiday should. However, it’s also worth remembering that it usually takes five to seven days for your brain to switch into “holiday mode”. It’s very important to make the most of your vacation time and use this time to rest, relax and recuperate. Not only have you earned the rest, you need it! In academia you will see people who appear to be working every hour God sends, but it’s important to remember that the key work here is ‘appear’. Neither of us have met a person who can sustain that level of work effectively and efficiently, and not taking adequate breaks or holidays ultimately leads to burn out and inefficient work practices. Often, spending more time at work simply leads to spending more time on Facebook or YouTube. Even senior professors don’t and can’t work all day every day! You’re better off spending 6-8 hours actually working at work, and then taking your evening and weekends off to do things that you find relaxing and enjoyable. Many students come from the undergrad mindset of assignments that have to be finished by a set time, and many people develop bad habits during this time of staying up until the early hours of the morning to finish work. As a PhD student, it’s more about being able to sustain effort in your work for a full three plus years, and you should view it more like a 9-5 job. You will probably have your own office space - use this to your advantage. Try and only work at work if possible, and if you create a work space at home, for God’s sake move it out of your bedroom! And one more thing: stop checking emails when you leave work for the day, and especially don’t check emails before bed! But who’s going to remind you to take time off work? As well as holding yourself personally accountable, making friends both at work and outside are important for your mental health and wellbeing. If you’ve moved to a new place, however, this can feel especially daunting. Fortunately, there are not lots of apps and websites for meeting new people for social events, and you’ll soon realise you aren’t alone in this endeavour. A new student in David’s office (and myself, actually) have had a lot of success with Meetup. You can use it for thinks like sport (think ultimate frisbee, soccer, paddle boarding and rock climbing) but there are usually lots of other groups in your area who might meet for drinks, to go for a hike, play boardgames or around a common interest such as photography. Most universities also have large numbers of student clubs and associations that you will be able to get involved in, and the variety of clubs is usually endless, and if you can’t find one for your passion, start one! David also found his university’s Postgraduate Students Association really good - this is a good place to make friends and discuss PhD related problems with other students who may be further along in their studies, and have a little more experience. Making friends within your PhD program can seem quite daunting sometimes: you might be coming in to a group where people already know each other quite well. I recommend going along to daily or weekly gatherings like morning teas, finding out when people usually gather for lunch and where they do so, as well as going to things like colloquiua that might be occurring. When I first moved to ANU, I set myself the challenge of meeting one new person every week. It did take a bit of courage, but I’ve ended up with a fantastic group of PhD buddies. Oh, and don’t restrict yourself to other students! Some of my best friends at work are members of the IT department (always good to have onside in case of a computer meltdown) and other academics, right from emeritus professors down to undergrad students. Time for a trip: Your first conference and how to make the most of it. I recently wrote a fairly comprehensive blog post about how to make the most of conferences. I really wrote it in response to a few people asking me how I ended up getting to go to a conference as an invited speaker. Conferences are an ideal chance to grow your network beyond your institution. If you want to stay in academia, your network will be the support structure for your whole career, and in many ways will shape your career. Make sure you talk to and meet with not only other students, but more senior academics at the conference you go to. Don’t be afraid to approach senior, well known individuals in your field - however, if they are very busy it can be a good idea to contact them prior to the conference and nail down a time to chat for half an hour during the conference. I would also always recommend giving a talk where you can. No matter how early you are in your PhD (I saw someone one month in give a talk at a recent conference). And most importantly, keep your talk to time. This means practicing your talk before the conference, in front of an audience. This last piece of advice was something we really should have thought about when creating these videos and blog posts, so this will conclude part one. You can access part 2 of the video here, and part 2 of the blog is coming soon! The summer of 2014-2015 was an interesting one. I spent around two months in Canberra at the end of my honors degree, working on a eight-week summer project that somehow stretched into an entire PhD (the paper describing the work we started that summer, all five pages of it, was published this month in Monthly Notices of the Royal Astronomical Society Letters). It was also a summer where seemingly every night, intense thunderstorms would build up around Canberra, resulting in several young scientists nearly getting electrocuted while playing ultimate frisbee on more than one occasion. After two quieter summers, Canberra is again being treated to dramatic thunderstorms. The city is perfectly situated in a region where hot, dry air from the Australian interior slams into cooler, moister air driven up from the South, which, when combined with strong daytime heating, generates spectacular storm systems that tend to sweep across the city from South-West to North-East. A typical thunderstorm contains a quantity of thermodynamic energy equivalent to around 10 15-kiloton nuclear bombs. A single bolt of lightning discharges around a million volts, with electrical currents peaking between 10,000 - 40,000 amps. A single lightning bolt heats the air to around 30,000 degrees Celsius, five times hotter than the surface of the sun. Particles in the air become instantly ionized, electrons ripped away by the immense electrical discharge, resulting in the bright flash of light. Heating of the air results in sudden expansion, which generates the sound we hear as thunder. The further away a thunderstorm is, the deeper the rumble can sound. This is because low pitched sounds tend to propagate further than high pitched sounds. If a thunderstorm is very far away, you may be aware of a very deep sound on the edge of your hearing - this is infrasound, vibrations so low pitched that we don’t perceive them as sound, almost more as a feeling. The feeling in your chest when you hear a nearby plane take off (especially something like a C-130, or even the Chinook helicopter) or at a loud concert is one way humans experience infrasound. Thunderstorms don’t just produce optical light and sound. One way of detecting lightning is through the radio emission associated with the electrical discharge of lightning. However, as we know from astronomy, often where there is emission of radio waves from a high energy process, we also see the emission of gamma rays. In the 1990’s, NASA launched the Compton Gamma Ray Observatory to study the emission of gamma rays from the Milky Way galaxy and beyond. The BATSE instrument, which as designed to detect bright flashes of gamma rays from space, called “gamma ray bursts”, started to detect gamma ray flashes from Earth - a phenomenon called “Terrestrial Gamma Ray Flashes” or TGFs. In 1996, a Stanford university study connected the TGFs with intense thunderstorm activity and lightning flashes. More TGFs were subsequently discovered by the RHESSI satellite, named for pioneering gamma ray astronomer (and “father” of positron astrophysics) Reuven Ramaty. The detection of TGFs by RHESSI is interesting in the context of some more recent work. One of RHESSI’s missions was to observe the production and annihilation of positrons (antimatter electrons) in the Solar atmosphere. However, it is RHESSI’s observation of TGFs that lead scientists back to studying the production and annihilation of positrons here on Earth. For a long time, it was hypothesised that the bright bursts of gamma rays that make up TGFs may result in pair production: two interacting gamma rays give rise to an electron-positron pair. These positrons of course don’t travel far - while a positron in space may live in excess 10 million years before bumping into an electron and annihilating, positrons produced in the atmosphere are surrounded by far more electron-bearing things (atoms, for example) and annihilate very quickly. However, these annihilations also produce gamma rays, which can be detected by gamma ray satellites. For a long time, it was assumed that positrons produced by thunderstorms mostly came from pair-production. Even when we look at extreme environments in outer space, like jets launched by black holes, we aren’t really sure how many positrons we can produce via pair production. In an astrophysical context, we actually think most positrons come from the radioactive decay of a variety of nuclei that are produced by stars and the explosions that occur when stars end their lives. A recent study shows that a lot of positrons created by thunderstorms may also be coming from radioactive decay. TGFs, rather than producing positrons through the pair production mechanism, actually interact with nitrogen atoms in the atomosphere. This “photonuclear” reaction converts a standard, stable nitrogen atom (14N) that has seven protons and seven neutrons in it’s nucleus into 13N (nitrogen-13). This nucleus has one fewer neutron, and the nucleus is unstable. It will tend to decay through beta+ decay, which produces a positron (and a neutrino), and the nucleus transmutes into that of 13C (carbon-13). Other similar photonuclear reactions involving oxygen can also occur. In this work, recently published in the journal Nature, the authors detect positron annihilation gamma rays associated with the positrons produced in these photonuclear reactions. It makes a fascinating connection between nuclear reactions, lightning and antimatter. What’s more, when you have a hammer that models positron transport and annihilation, it’s another problem that looks like a nail. I’ll keep you posted. Cloud chamber photograph of the first positron identified by Carl Anderson. The existence of such a particle (the anti-electron) was mentioned in passing by Dirac in his 1931 paper on quantization of electric charge. 2017 was a year of Big Science. The end of the Cassini mission, which was supported by hundreds of people over the years, and the remarkable coming-together of thousands of international scientists to study the first confirmed neutron star-neutron star merger, are two which readily spring to mind (possibly because I have been peripherally involved in both). The 2017 Nobel Prize for physics was awarded to Kip Thorne, Rainer Weiss and Barry Barish, but also recognises the work of the thousands of individuals who make up the LIGO collaboration, which has had phenomenal success detecting gravitational wave transients over the past couple of years. How did the Universe become reionized? How do galaxies evolve across cosmic time? need big resources, and big teams to solve them. These are the current dominant narratives we see in popular science media, the protagonists of modern astronomy. However, it’s worth remembering that often science happens in the wings of the main production. Sometimes, the science happening off-stage, in the background of the Big Discoveries, can have profound consequences. Paul Dirac is widely regarded as one of the fathers of modern physics. His wave equation, which marries together special relativity and quantum mechanics, is taught to hundreds of thousands of physics students. The same physics students often hear anecdotes about Dirac himself, who by many standards (although perhaps not by those of academia) an unusual character. Dirac’s legacy and passion for precision and elegance can be seen in every young physicist who turns to astronomy, and is confronted for the first time with order of magnitude approximations and tildes. The unusual thing about the initial publication that describes the relativistic wave equation (the Dirac equation) is that it contains a rather uncomfortable loose end. In the initial publication, Dirac points out the loose end: specifically, there are solutions which describe a particle with “negative energy”. Like Shakespeare sending Hamlet’s erstwhile childhood friends Rosencrantz and Guildenstern away on business (off stage, of course), it is a loose end that begs some kind of resolution. This resolution only came several years later, in the rather philosophical introduction of Dirac’s 1931 paper “Quantised Singularities in the Electromagnetic Field”. As the name of the paper suggests, the search for a physical meaning of these “negative energy” solutions to the Dirac equation is not the main subject of the paper. In the introduction, Dirac muses on the recent developments in fundamental physics, noting that the new paradigm for advances in physics will be the development of abstract mathematical theories, which can then be matched to observed physical phenomena. This is still an avenue of research today, but there are still many physicists (myself included) trying to explain observations, as opposed to hunting down some fragment of evidence to match a cornucopia of mathematical theories. The first description of antimatter* is almost a footnote to the main purpose of Dirac’s 1931 paper, reminiscent of the ambassador’s line that “Rosencrantz and Guildenstern are dead” in the final scene of Hamlet. It tidies up the concept that the negative energy solutions to the relativistic wave equation, describing the anti-electron (the term “positron” was coined by Carl Anderson a year later, the experimental discoverer of the particle). It is presented almost dismissively, with Dirac describing the annihilation probability of such a particle to be so high that they probably would not be observed in nature until significant technological advancements can be made. The de-emphasis of the whole idea, and the way the writing quickly moves past the point. It’s an interesting treatment of a concept that has possibly raised more questions than it has answered in the past 80-odd years. The concept has been given a life of its own by hundreds of physicists over the years, with questions about antimatter ranging from the existential (why does the universe contain more antimatter than matter?) to the ridiculous (I received an email recently about antimatter stars in the Milky Way). Like Tom Stoppard’s play, most of the science of antimatter has occurred in the wings of the Big Science Narratives, occasionally encroaching onto the main stage. Unlike Tom Stoppard’s play (in my opinion), the study of antimatter in the universe is actually interesting. Of course, I may be a little biased. Lots of blog posts have appeared in recent days about the Big Science Stories that people are looking forward to this year. I’m also looking forward to many of them. But I’m also looking forward to the small science stories. The “huh, that’s weird” stories that make you think again and remind you that while asking the big questions may be important, it’s often the little ones that keep you awake at night. *The discoverer of antimatter, at least experimentally, is usually stated to be Carl Anderson. However, Soviet academic Dimitri Skobeltsyn, and, independently, Caltech graduate student Chung-Yao Chao found tracks in bubble chambers that behaved as an electron would, except they curved the opposite way. Both observations were dismissed as an error on the part of the experimentalists. I think these two individuals deserve acknowledgement. Ah conferences. Probably held in a relatively picturesque location, full of exciting, cutting edge science and a stressful timesink for anyone unlucky enough to be saddled with the actual organization. Pre-Post-Script: Thanks to Ángel López-Sánchez on Twitter for reminding me of the thing I forgot to write here. Conferences can be stressful and, depending on the individual, can be quite taxing emotionally. Many, many people (more than you might imagine. Yes, even the individuals who appear gregarious and outgoing) struggle with aspects of the social parts of conferences. Even for extroverts (in so much as people can be divided into those favoring introversion or extroversion) need alone time, which can be a precious commodity at a 5 day conference with constant activities lined up. For those who have met me, it may surprise you that at my first conference, it took me a day and a half to talk to anybody other than my supervisor. I, like many other people I know, cover up any social anxiety by working hard to be outgoing and friendly. Nobody should ever be made to feel guilty or like a bad scientist if they need some time to retreat to their hotel room. I'm a big proponent of providing quiet spaces for people to sit in, where there is a rule that you do not approach people sitting in the quiet space. If you need a break at a conference, don't be afraid to say "I need a break, I will be back later", and take some time out for yourself. Constantly pushing yourself to breaking point will a) make the conference less enjoyable and b) possibly put you off conferences. Also, if you're organizing conferences, please reconsider requiring/forcing students (or anybody really) to share rooms. From talking to other students, not having a private refuge can cause excessive stress at conferences. Lone Pine Koala Sanctuary in Queensland fences off part of the area where tourists can interact with, pet and feed their kangaroos and wallabys, providing a safe area the animals can rest away from humans. Perhaps your next conference should provide a scientist rest area, where individuals can sit and work quietly without being disturbed. The bigger the name you'd like to talk to at the conference, the more people they will probably have to talk to. If you are interested in talking to someone on your list face to face, it can be a good idea to contact them via email before the conference, briefly introduce yourself and state that you are going to conference x, and would they have some time to set aside during a break to briefly chat. The email should only be a maximum of 2-3 sentences long, polite and not rambling. If you have met someone previously and wish to sit down and discuss science with them again, it's also a good idea to let them know you'll be attending said conference. Planning a meeting before the conference, when people are often busy, gives you a much higher chance of actually having the conversations you want. Conferences are for showing off your work, and other than papers are one of the primary ways of disseminating information about your research. Often, people will remember conference talks better than actual papers. Some people have gimmicks they use when giving talks that make them memorable (one friend of mine has a fondness for pink and makes slides that definitely reflect this. Personally, I often include hand drawn illustrations on mine) however, this can't be overdone or it will detract from your science. Put some thought into your presentation. Although many people do it, I don't recommend working on your slides at the conference at the last minute, but more on this in a second. At larger conferences, it may be harder to secure a talk slot, especially if you are earlier in your PhD. Writing compelling talk abstracts for the selection process is a skill that can be worked on with your supervisor. If you are instead offered a poster slot, there are a few different schools of thought, but I do believe posters are largely a huge waste of time and money. You're better of printing a few A4 handouts that summarize your work and pinning them to the poster board. Focus your time on your 1 minute poster talk/sparkler slot. The number one way to test everyone's patience is to have a talk that runs over the allotted time. Because of this, you absolutely must practice your talk, as you intend to give it. This means standing up, talking out loud, preferably in front of a friendly audience who can give constructive feedback. Not sitting behind your computer reading through your slides. While some people think scripts are a terrible idea, I'm a big believer that a well-deployed script is vital. A well-written and rehearsed script should sound as easy as casual conversation, and you should know it so well that, if you are caught by a question in the middle of the talk, you will not be thrown off. Drama/improvisation classes, or specifically classes that teach how to act from a script can be very helpful here (I grew up performing in various theater productions). A good script does not sound wooden, and you can be sure you are delivering all the information you intend. And it can be consistently replicated, which helps with the timing thing. If there's one thing you take away from this, remember that the cardinal sin of any talk is a talk that runs over time. Your supervisor has been to many conferences, and possibly worked in a number of different institutions. Consequently, they will have a large network of both collaborators and friends. Discuss with your supervisor whether they are happy to introduce you to these people at a conference if you attending together, or whether they can facilitate an introduction via email before hand if not. Virtually every supervisor I know of is more than happy to help their students network. You're likely to stay in roughly the same field as your supervisor if you go on to work in academia, and you will probably find their network overlapping with your own. This doesn't mean you shouldn't go out and form independent connections with other academics, but it can give you a boost to start with. Thanks to my supervisors, I've managed to build a network of friends and collaborators in academia across the globe. As tempting as it is, and as intimidating as it can seem, you need to go out and talk to people other than your immediate peers. Meeting more senior people at the conference can lead to some pretty amazing opportunities: these are the people with the money and resources to support your work and career going forward. While it's tempting to gravitate toward the student table, and to stay within your comfortable friend group, I do advise going to sit in part of the auditorium with different groups of people, as well as mixing with everyone during breaks, lunches and especially at the conference dinner. I joined the Dark Energy Survey because there weren't enough seats for me to sit with students at my first ever conference dinner, and I ended up sitting beside one of my now-supervisors. Despite the points above, I don't recommend ignoring other students! Other students are likely to be your peers and you will probably be working with some of them for the next 40 years. Students can give you important insights into what it's like to work at other institutions you may be considering for future employment, or what it's like working for certain academics. They also have more of a perspective of the stresses that students currently experience. Networking with other students enables you to build the working relationships that will carry you through your career and give you alternative perspectives. Don't be afraid of talking about future scientific collaborations with other students - I'm currently working together with someone I met when they were a PhD student on a new project mostly independent of our supervisors. "Social media is terrible, it's a distraction" - maybe, but Twitter is also a way of networking. I've lost count of the number of people I have met in person after following them on Twitter, which then becomes a nice talking point. It's also a way of getting your name out if you haven't yet published. When it comes to Twitter, I recommend creating an account where you share predominantly professional information, while still allowing some personal flair to show through (you can look at my Twitter account here). I tend to share interesting science information in general, as well as about my research and what it's like to work in Australia. I avoid sharing and making strong political statements (although there's nothing wrong with this, plenty of successful scientists do). Use replies to others judiciously, and if you use Twitter to send direct messages, I never say anything in a direct message that I would not post publicly (treat it like a less confidential email). There are plenty of articles out there with guides to tweeting as an academic. Used well, it can enhance your profile significantly (which has been my experience) but used badly or, worse, inappropriately, can potentially do damage. So the conference is over, what next? I think it's relatively common, firstly, to have a period of feeling somewhat flat or deflated for a week or so after a conference. You go from having exciting science input constantly, to being back alone in your office faced with the mountain of your PhD. One thing to do to combat this is to begin actively following up your new connections. Follow and tweet to people on Twitter, and send emails to anyone you would like to further collaborate with - something as simple as "Nice to meet you at <conference>, here is the paper I mentioned". Following up your connections relatively soon after the conference is the best way to keep momentum in a new project. My PhD student is in their second year. They get frustrated easily when something doesn't go as they want after the first few times of trying. The problem is they never explicitly complain. They are very vocal otherwise but will not complain when prompted either. So when they get frustrated and want help, they whine just until I step in to help him. I have read that I should let them get frustrated, because that will help them learn. So I don't want to step in before they feel they needs my help. But I just don't know what to do about the whining. Its so hard for me to ignore, if they just want my help. But at the same time I am starting to feel like by my responding to their whining for that, they are now starting to whine/cry for everything (like if they can't solve an equation, need a reference, submitting a paper, writing conference abstracts, anything really). I try to say " oh you need help, say, please help supervisor" as I go to help them. But its been a while now and they still haven't picked up that that is how they should ask for help. Am I expecting to much for them to even say 'help me" instead of whine? 1. They feel powerless. Students whine more when they don't feel like they can meet their own needs, or count on their supervisor to meet their needs. Some of the things you describe -- solving an equation, finding a reference, submitting a paper, writing conference abstracts -- seem to require your assistance. But I strongly recommend that you set up their life so that he can be as independent as possible. Can they use MATHEMATICA to solve their equation? Have you taught them how to effectively use ADS, their library and SCOPUS? But if indeed your help is necessary to get these things, then the frustration you are describing is partly about being dependent on you, and powerless to meet their own needs. If you wait to help them, you are reinforcing their dependency and powerlessness. If, instead, you respond promptly when they communicate their needs, you reduce the frustration, and therefore the tendency to whine. And yes, expecting him to use academic words -- which are like a foreign language that they're still learning -- while they are already frustrated is expecting too much from them. They have plenty of time to learn manners. Why add fuel to the fire? That's how supervisors trigger breakdowns (which are a signal of emotional overload). Once students are emotionally overloaded, they're in a state of emergency and can't learn what you're trying to teach. 2. They are frustrated. Whining is a way for humans to communicate that they feel overwhelmed and need help. So if your student is working on something and is frustrated with it, they may well whine. I know experts often say frustration is good for students, but my professional opinion is that frustration is misunderstood. If your student is working hard at doing something, they will try and try again, and you certainly don't want to jump in to do it for them. That deprives them of learning and gives them the message that they are too dumb and incompetent to master that new task themselves. But too much frustration is as stressful to your student as it is to you. Is frustration good for you? Of course, if it motivates you to take action to address the issue ("I really do have to clean out this closet, I can't find a thing!") But if you think about your student's life, he is constantly bombarded by frustrations: being told what to do, not being able to get some code to work, not getting to go to a conference they were excited about, getting pulled away from their spare time to work overtime, having to wait for you to help him with something. Students can get easily overwhelmed. So the best way to respond when your student begins to sound "whiney" is to acknowledge their feelings, and let them know you're standing by as backup if he needs you. You might say "You are trying so hard....but you can't figure it out right now....That's frustrating." Your tone will reassure them that this isn't an emergency. They may, then, be able to master their upset enough to push through and do it themselves. The key is that your attention helps them to manage their own mounting anxiety -- they see that you aren't worried about this, and you are right there if they need you. But remember that their internal resources will vary from day to day and at different times of the day. If they are begging you for help, there is nothing wrong with stepping in: "I know you did this yourself yesterday. But right now you want my help. Of course, I am always here to help if you want. What if we change these lines of code? Do you think you can finish this off now?" 3. They feel bored. Students whine when they feel out of sorts and can't figure out what to do with themselves. Why on earth would a student ever be bored? The world is an amazing place for them to explore. But students are just learning to undertake self directed research and may have a hard time engaging in self-directed activity. Try helping them break tasks down into manageable chunks they can self-direct themselves through at their own pace. Some ideas for bored students: Remember to rotate their projects. Active students may love a task that takes them out of the office. Anything using equipment: a small lab project, or time out at the telescope. Or let them take some of your old code for a project at a standstill and see what they can do to it - you may even get a finished project out of it! Get them to work on the whiteboard instead. 4. They're pushed beyond what they can handle. Just don't try to squeeze in another task when they're hungry or tired. Even if they don't whine, you can be guaranteed that they'll start whining, and why feed that habit? 5. They are tired. They probably doesn't whine when he's well-rested after a holiday. Students may go through spurts where they need extra sleep, so trying suggesting an earlier bedtime or time off - even for a couple of nights can show you the difference. 6. They need our attention. Students can work by themselves now, but they still need a tremendous amount of interaction with us. In fact, just when we see them walking around and acting like experienced researchers instead of undergraduates, they often go through a clingy period because they feel like we're pushing them to separate and act grown up. This is always worse if there has been a real separation (for instance, they went away to their first international conference or visited a different institution). Bottom line, the more connection we give our students without their asking, the less likely they are to whine when our attention does need to be divided. So be pre-emptive. Make sure that your students get enough of your positive attention unprovoked, especially at the times of day when they is more likely to be whiny. Pre-empt whining by giving attention BEFORE they get demanding. (Anyone who's had to ask a romantic partner "Do you love me?" knows that attention given after you ask can never really fill the need.) The secret is to take the initiative and give attention the student hasn’t asked for, often, so they feels your support and connection. And of course it's particularly important to give attention when they shows the first sign of needing your emotional support, before that quick downhill slide. 7. They need to cry. Life is full of frustration for students. That builds up stress hormones: cortisol, adrenaline, etc. Nature has designed humans with a fail-safe to get those stress chemicals out of our system: crying. Most students need some time to cry on a regular basis. Please note that I am NOT suggesting making your student cry or leaving your student alone to cry. If your son is whining a lot and you have done everything you can to meet their needs, try giving him your full attention. Say: "You seem so unhappy. Do you need to cry and be sad? That's ok, I am right here if you want to talk. Go ahead and cry if you want, here's a tissue." After they release all those pent-up upsets, they're more cheerful for the rest of the day. 8. They develop the habit of whining. Remember that what feeds the habit is the actual whining, not your meeting their needs when they express them. When you meet their needs -- or at least acknowledge what they feel -- they don't need to whine, so empathizing pre-emptively will help them break the whining habit. They share things happily when they're happy, right? Well, when they're stuck, tired, or frustrated, grousing about it feels better to them. They're communicating their emotions to you. So it's best if you intervene positively when they whine to interrupt the habit. First, recognize their feelings and give them a word to use instead of whining: "Oh, you sound frustrated/cranky/worn out/bothered/sad right now" or "You really wish you solve this problem." Then teach them that they can do something to make them feel better, besides whining: "What could you do to feel better? Some help from your supervisor?/To discuss this?" I hear how important it is to you to do a good job as a supervisor. I want to encourage you to use your instincts, which sound very good to me, and ignore the messages you are hearing about not responding to your student. Being swamped by negative emotion sets students back in learning. They sometimes need us to help them learn to manage their emotions, and the more responsive we are to their needs, the less likely they are to end up overwhelmed. The way students learn to delay gratification is by becoming able to manage their emotions, and the way students learn to manage their emotions is by having their supervisors respond to them helpfully. That's how they get the message that they matter and can impact their world. That's how they learn not to panic and tantrum, and learn that frustration is bearable. AN: I have a great supervisory panel. The original parenting article made me think of the ways we've managed my workload to result in a generally happier PhD student and happier supervisors. I often think that high energy astrophysics (the gamma ray kind, not the kind of astronomy done after overindulging in coffee) suffers from being trapped within the confines of the ivory tower more than other areas of astronomy. The main reason for this, as I see it - or rather as I don't see it - is because we humans have been blessed to have evolved without the ability to see gamma rays and x-rays. And there's a lot more romance at looking up at a starry night sky with your own eyeballs than hacking away at data with some heinously complicated deconvolution algorithm anyway. There's also the scale problem. There are numbers the human brain can deal with, and then there's numbers that are just so unfathomably ridiculously large or small that a warning light comes on and the information you're trying to convey bypasses the brain entirely. I mean, what sounds more impressive: 1.2 billion or 10^43 (a one followed by 44 zeros)? 0.000001 or 10^-27 (a 1 preceeded by 26 zeros after the decimal point)? Bananas are sadly not the source of most Galactic antimatter, as proven by a paper published earlier this year by my research group. Something wonderful about writing about the exploration of the solar system is that it's so intuitive. Nothing seems to capture people's imagination (mine included) than the existence of worlds beyond our own, and there's something incredibly tangible about the first voyages of discovery we make into our cosmological back yard. And much of this is thanks to the incredible work of the scientists behind the Voyager missions, and over the past 20 or so years, the Cassini mission to Saturn. The reason Saturn usually tops the lists of peoples favorite planets is mostly thanks to the beautiful imagery Cassini has brought us over the past 20 years as it has studied the giant gas planet and its many unique moons. Many of the images of the planet, obtained by the Cassini probe 1.3 billion kilometers away in orbit around Saturn, released by NASA are almost indistinguishable from artists impressions. This week, Cassini will end it's 20 year mission, crashing into the atmosphere of Saturn at 10:15pm Australian Eastern Standard Time. The probe has been slowly deorbiting over the past few months, diving between the planet's rings. The rationale behind disposing of the spacecraft by crashing it into the gas giant planet is simple: to protect the delicate environments of Saturn's moons - which could possibly harbour life - from any human made debris. I've been very fortunate to be chosen to be amongst scientists and journalists who will report live on the final hours of the Cassini mission from the Deep Space Communications Complex at Tidbinbilla, just outside of Canberra. It's exciting to be able to talk about science without resorting to ridiculous banana analogies, and to talk about something that inspired me to pursue a career in astronomy. Stay tuned for more Saturn related blogs this week, and don't forget to follow the final days of the Cassini mission via the #GrandFinale hashtag on Twitter. What is the first word that pops into your head when I mention "space"? Stars? Planets? Galaxies? What's the first thing I think of when someone mentions "space"? Bubbles are possibly the most ubiquitous structures in the universe. We see them universally across all size scales - from the imperceptible "space-time foam" of quantum theory right to the massive supervoids - the unfathomably large caverns of nothingness that are surrounded by filaments in which galaxies live. At every stage of the universe's evolution, we can find bubbles. From the time of the earliest stars and galaxies, which produced strong ultra-violet radiation fields that would ionize the neutral hydrogen gas into great bubbles surrounding them, right up to the present day, where exploding stars carve out cavities into the interstellar medium. In fact, if time is "wibbly-wobbly" as the 10th Doctor says, space is almost certainly "bubbly-wubbly". The nearby galaxy Centarus A (which also goes by the slightly less memorable moniker NGC5128) looks relatively innocuous in visible light, and the galaxy was first discovered by James Dunlop of Parramatta, Sydney, NSW, in 1847. For most of human history, we’ve only ever been capable of seeing our universe in optical light. However, the development of radar during the Second World War had some surprisingly dramatic implications for not only astronomy, but Australian astronomy in particular. Following the end of WWII, many of the devices that had previously been used to detect enemy ships in the Pacific were repurposed, and it was from Australia that many of the first astrophysical radio sources, then “radio stars”, were detected. 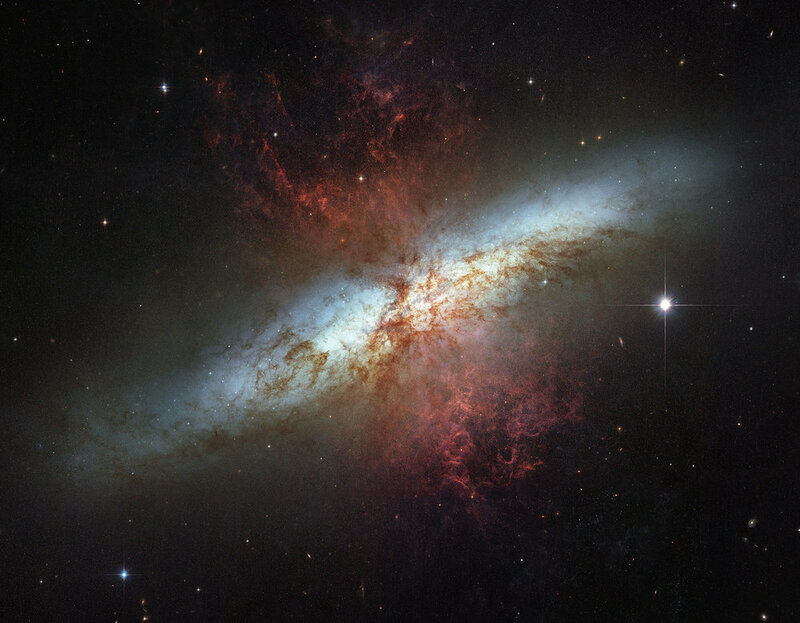 One such object was Centarus A, one of the first localized extragalactic radio sources identified by the pioneering Australian radio astronomers John Bolton, Bruce Slee and Gordon Stanley in 1949. Anyone with a fine pair of binoculars or a small telescope in the Southern Hemisphere can observe Centaurus A - it’s around 8 full moon diameters north of the globular cluster Omega Centauri (one of my favourite objects to target while I’m running a focussing sequence on the ANU 2.3m telescope). It has a bright central bulge, partially obscured by a prominent dark dust lane. What isn’t visible to the human eye, however, are the enormous radio lobes, or “bubbles” stretching away from the galaxy. The radio bubbles stretch a remarkable 1.8 million light years from end to end. In comparison, it’s a mere 27,000 light years to the center of our galaxy, and four light years to the nearest star (Proxima Centauri - I promise that not all the interesting stuff in the universe happens in this one particular constellation). From Earth, the radio emission covers an angular area over 200 times greater than that of the full moon. But what is driving the radio emission so far from the galaxy itself? The answer lurks at the very heart of Centaurus A. Astronomers understand that all galaxies contain supermassive black holes - SMBHs - in their very enters. Millions to billions of times more massive than the Sun, SMBHs have many ways of making their presence known. Like all black holes, which derive their name from the fact that nothing, not even light, can escape their gravitational pull after crossing the event horizon, the SMBH at the center of Centaurus A cannot be seen directly. However, dust and gas close to the event horizon of the SMBH creates an accretion disk - a donut of material that is accelerated in the gravitational potential of the black hole, a bit like water around a bath plughole. An artist's depiction of an active galactic nucleus. The orange accretion torus swirls around the unresolved SMBH at the center. 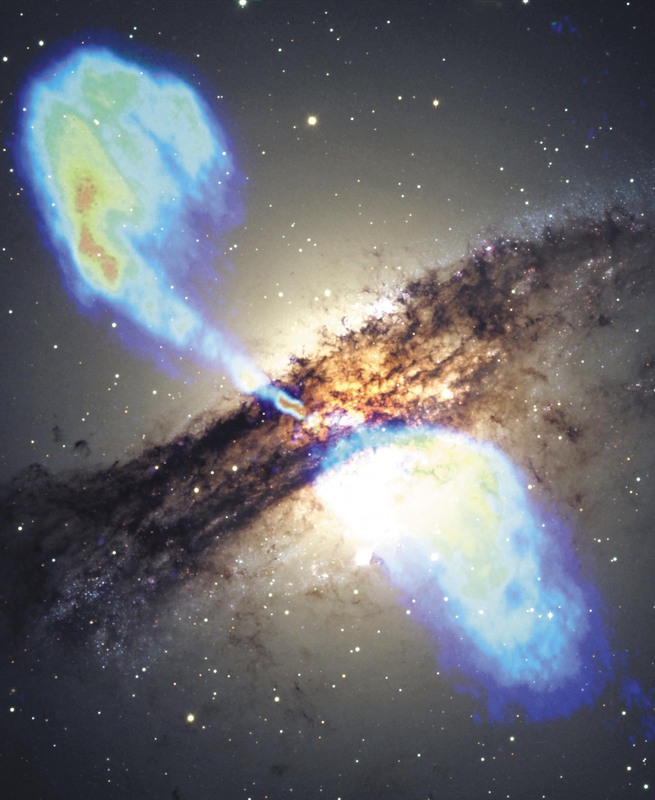 Plasma jets (white) are launched into the intergalactic medium. With a large amount of material being fed into the accretion disk, the SMBH can’t help but be a messy eater. Thanks to the angular momentum of the swirling material, the black hole burps out massive jets of plasma - accelerated electrons and protons - into the intergalactic medium. As this jet ploughs through intergalactic space, the plasma expands outwards like a rocket exhaust, and the electrons in the jet interact with any ambient magnetic field. As electrons spiral around magnetic field lines, they emit a kind of radiation called “synchrotron” radiation. Here on Earth, we can detect this radiation as radio waves. Of course, this jet can’t keep expanding forever. Eventually, it reaches a region where it no longer has sufficient power to continue it’s collimated tunneling through the intergalactic medium, and gradually, over millions of years, a bubble forms, visible in not only radio waves, but also in gamma rays produced by electrons interacting with the radiation field that pervades the entire universe - the afterglow of the big bang. Not all galaxies have their bubbles blown by active SMBHs. Many galaxies are actively forming new stars. For every hundred or so solar type stars that form (the most common kind in the universe), one star with a mass of greater than eight times that of the sun is formed. Star formation is often concentrated into pockets where molecular gas has accumulated, and such regions can have incredibly high specific star formation rates, resulting in the formation of clusters of stars classified as "high mass" by astronomers. While a star like our sun will live for around 10 billion years, these massive stars may only last a few million years before they exhaust their nuclear fuel, ending their lives as a spectacular core-collapse supernova. Because many of these stars will have formed around the same time, there will be a brief period where several stars will explode in quick succession (quick to astronomers being around a million years). This "starburst" is capable of driving powerful winds out of galaxies. Because molecular material is frequently concentrated in galactic spiral arms, or galactic centers, all of the starburst activity in a galaxy can drive a bi-conical outflow from either the galactic disk or center. The result is not unlike that of the case of the galaxy with the active supermassive black hole - gigantic radio, gamma ray and X-ray emitting bubbles are spawned above or below the plane of the galaxy. The main difference being that it can take billions of years to blow up a bubble using the combined power of core collapse supernovae, compared to only a few million years to form a jet-powered bubble. So what about our own Galaxy? Until very recently, it appeared that our Galaxy had never generated these bubble-like structures. However, observations made by the FERMI gamma-ray satellite revealed the so-called Fermi Bubbles in 2010, and radio structures associated with the gamma ray lobes were revealed in observations made at the Parkes radio telescope in 2012. These bubbles stretch above and below the Galactic plane with an extent of some 40,000 light years from the top of the Northern Bubble to the base of the Southern Bubble. If we could observe gamma rays with the naked eye here on Earth, they would cover almost the entire sky. But what created them? The clues to the origin of the Fermi Bubbles lies in the gamma ray energy spectrum. Spiraling electrons produce radio waves, and the interaction of cosmic rays with the interstellar and intergalactic medium produces gamma rays. "Cosmic ray" is a collective term for the extremely high energy sub-atomic particles that bounce around in interstellar space. Cosmic rays come in two varieties: leptonic (composed of "light" particles like electrons and their antimatter counterpart, positrons) and hadronic (composed of "heavy" particles like protons, neutrons and nuclei). Leptonic cosmic rays produce gamma rays through the "Inverse Compton" process - leptons interact with the ambient radiation field photons (primarily due to cosmic microwave background radiation, the afterglow of the Big Bang, with an additional component from the starlight produced by the galaxy) and emit gamma ray photons, which can then be detected by a space based observer. On the other hand, hadrons first interact with one another in the "pp interaction", producing a type of secondary particle called a pion (a quark and anti-quark bound together). These pions then decay to produce gamma rays, which can once again be detected by space-based observers. The gamma rays from the Fermi Bubbles cannot penetrate Earth's atmosphere, so can only be detected in space. The gamma rays produced by these two processes are not all emitted at a single energy, but rather at a range of energies. However, constraints on the gamma rays that are being emitted by the Fermi Bubbles, and the various models of the different physics behind the formation of the bubbles means that the jury is very much still deliberating on the origin of the bubbles. If the gamma ray emission is primarily due to leptonic emission, the bubbles are likely to have been formed by a jet from our galaxy's SMBH some 8-10 million years ago. However, one thing we do know is that today, our Galaxy's SMBH is mostly harmless, accreting far too little material to launch a jet (although whether our Galaxy once had an active core, or could do again, is entirely within the realm of possibility - the novel "The Inferno" by astrophysicist and anti-Big Bang campaigner Fred Hoyle deals with exactly the scenario of our Galactic Center "switching on". But don't worry, it probably won't happen within the next few million years as today we know there isn't enough material close to the Galactic Center to support a quasar any time in the near future). Another compelling argument against the short-lived jet scenario is that the Fermi Bubbles, and their radio lobe counterparts appear to "lean over" to one side of the Galactic meridian. This is likely to be due to the Galaxy's motion through the Local Group toward the Andromeda galaxy. A jet-inflated bubble would be too young for this effect to be so apparent, while a slowly-inflated wind-blown bubble would experience this effect more markedly. Of the models advocating the starbust-driven-wind model, proposed gamma ray emission models account primarily for the hadronic cosmic ray scenario. The center of the Milky Way galaxy is truly enigmatic: the central 600 light years are responsible for 10% of the total Galactic star formation rate, and a number of young star clusters inhabit the region. The presence of these massive stars and the high star formation rate, together with the large concetration of molecular gas in the region (the so-called Central Molecular Zone) is strong evidence that there has been continual starburst activity, capable of driving a wind with velocities in excess of 500 km/s, over the past few billion years. The shockwaves that result from core collapse supernovae in these regions would be capable of accelerating protons to incredibly high energies, and these hadronic cosmic rays would then be carried away with this wind. The Fermi Bubbles are among the most enigmatic puzzles associated with our own Galaxy, and the work done by astronomers to better understand them is a remarkable example of cross-disciplinary research. The Bubbles have been observed at almost every wavelength, from radio waves, microwaves, optical and UV (through observation of background sources to constrain the kinematics of the outflow), x-rays and gamma rays. With better constraints on the properties of the bubbles obtained through observation, and advances in computational capabilities allowing the simulation of the Bubbles, the coming years should see the scientific community begin to close in on the origin of the bubbles: the artefact of our Galaxy's violent past, or billion-year old reservoirs cosmic rays from more benevolent starburst-driven winds. Sun, sand and serious science: the prescription for a week in the tropical paradise of Far North Queensland as, for the first time ever, the IAU symposium on the Galactic Center visits Australian shores. The weather even cooperated with the organisers, with an entire week of almost wall-to-wall rain keeping the 150 or so astronomers from all over the world focussed on a wide range of interesting talks as opposed to long walks on the beach. To pick some of my favorite talks to highlight is somewhat self-indulgent and selfish, given my relatively narrow field of interest. I’ll try to be as unbiased as possible (so, still quite biased!). To kick off, Wednesday’s second session was home of an outstandingly good natured set of talks on positron astrophysics. Thomas Siegert, who has been responsible together with the SPI/INTEGRAL team at MPA Garching for most of the recent analysis of the 11 years of data on positron annihilation in the Galaxy, gave an excellent overview of the topic. The new analysis of the SPI data has revealed some surprising truths about the location of most annihilating antimatter in the Galaxy, in particular the fact that as much antimatter is being annihilated in the Galactic disk as the Galactic bulge. This is contrary to the results from the first 5-8 years of data, which showed a very faint disk component to the emission, half of which could be explained by the annihilation of positrons being produced from the long-lived radioisotope Aluminum-26. Now as it stands, barely 10% of Galactic positrons can originate from this isotope, synthesised by massive stars, and the origin of most bulge positrons remains unexplained. Siegert gives a convincing argument for multiple origins for Galactic positrons, an argument I’ve certainly disagreed with in the past. Also just in are his excellent results on detecting 511keV emission in dwarf satellite galaxies of the Milky Way, which almost certainly deserves a blog post of it’s own. Read the just-published A&A paper here. I was perhaps a little star-struck by meeting Nidhal Guessoum, whose work on positron microphysics and transport I’ve been using to inform my own work on simulating positron transport, energy losses and annihilation. Guessoum’s talk focussed on the plausibility of a source close to Sgr A* being the source of Galactic bulge positrons: positrons produced by Sgr A* itself, or a source nearby, can be diffusively transported out of the Galactic nucleus by MHD turbulence. The preliminary results presented look exciting, and I’m looking forward to seeing the final results. Moving away from positrons and back to my old stomping ground of the Nuclear Star Cluster, I feel the need to highlight two excellent talks. First by Marion Grould, who discussed how observations using the GRAVITY instrument on the ESO’s VLT of the star S2, which occupies an elliptical orbit with a period of ~15 years about the central supermassive black hole in our Galaxy, can be used as a test of General Relativity. The simulations seem to say yes, so it will be exciting if the precession of the star due to the warped spacetime around Sgr A* can indeed be detected with this instrument despite the Newtonian perturbations on the star due to unresolved members of the NSC. The origin of the NSC was also up for debate in two talks that occupied the Friday morning session. Oleg Gnedin’s talk on the formation of the NSC had me almost wishing I had taken the offer of a PhD place at University of Queensland investigating just that. The theory talk by Gnedin was beautifully backed up by a talk by Tuan Do on the observational constraints on the NSC’s formation. Do described the incredibly detailed data now available on the massive stars that orbit the monster black hole in the Galactic Center, and the take home message seems to be “watch this space” as these data are added to and utilized to investigate whether the NSC formed in-situ, or from the disruption of a Galactic bulge globular cluster. 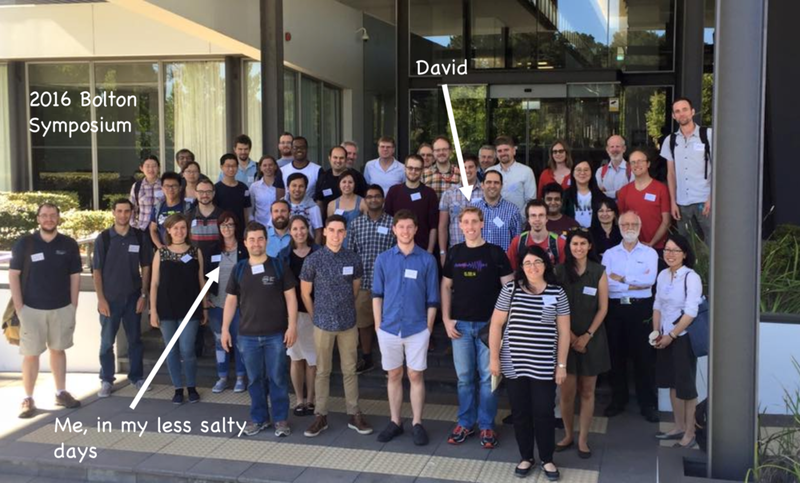 David Nataf took an informative step back from 5 days of focus on, largely, the central 200pc of the Galaxy with his comparative review of the Galactic Bulge stellar population. Highlighted was this lovely work by Melissa Ness and Dustin Lang on the X-shaped feature in the Galactic bulge revealed in beautiful detail in WISE data. Another particular highlight was the afternoon dedicated to a detailed discussion of the Galactic GeV excess. An observed excess of gamma rays at ~2GeV, a signal observed by the Fermi telescope that is sometimes referred to as the “Hooper Bump” has had two posited explanations: annihilation of a ~10GeV dark matter particle, or an unresolved population of millisecond pulsars. Convincing arguments were presented from both sides, from Richard Bartels, Dan Hooper and Chris Gordon. Francesca Calore presented an updated analysis of the gamma ray data while Doug Finkbeiner presented a thorough Bayesian look at the data. I’ve somewhat skipped over some of the other topics covered. Remarkable things are being done in radio observations, probing accretion onto Sgr A*, the structure of the SMBH itself and the radio-emitting filaments of gas in the central regions of the Galaxy using incredibly high resolution studies. X-ray data from the likes of NuSTAR is also shedding new light on the Galactic Center region, although the untimely demise of ASTRO-H has disappointed many who were hoping that the new instrument would obtain more detailed observations of the 3.5keV line near the Galactic Center. The Event Horizon Telescope, which sees many of the world’s radio telescopes joined together as a colossal interferometer to probe in fine detail the structure of Sgr A*, was also discussed, along with how the new Cherenkov Telescope Array will provide an even sharper look at VHE cosmic rays being emitted from the Galactic Center region and perhaps shed light on the “Pevatron”. The great strength of the conference, which brings together scientists with an interest in anything related to the central regions of our Galaxy, is that it opens up the opportunity for interdisciplinary collaboration. Theorists present their work alongside observers, and as the name of the conference suggests, every observation technique from radio through to gamma rays is well represented. The outcome of most of the well-attended panel discussions clear: We don’t really understand the central regions of our Galaxy (or most of our Galaxy, really) and in order to do so, we need to build a unified, self-consistent picture of how it works. The great thing about a 1 year honors research project is the lack of commitment. Malcolm Gladwell claimed it would take 10,000 hours of practice for someone to become an expert at something (although this has been debunked as far as I can tell). If you take into account the amount of time lost to taking courses and completing assignments, you will spend 10-15 hours a week on your project. 2 x 12 week semesters makes ~360 hours spent on your research project. The fact is, that nobody is asking you to become an expert during your honors year. If anything, your thesis should be an exercise in learning the general skills you will later apply in a further research degree or in a job. It is far more important to choose a project which interests you and allows you to develop skills like computer programming and data analysis than a project which will result in publications. 2. ... But you may findPhD project through your research! Your honors degree is a great opportunity to learn about all things related to your topic. In order to understand the context of your project, you will likely have to do a short literature review. This means learning how to read scientific papers (more on this in a second), interpret the results that are being presented and further explore anything that catches your interest. My current research is tangentially related to my honors thesis - searching for papers about the Galactic center lead to me learning more about gamma ray astronomy, and ultimately stumbling on the work of my now supervisor. If your university offers journal clubs, attend them. Even if you are the only student there. Even if you don't understand what the hell is going on for the first six months. Attend the journal club. You'll be surprised what kind of things you pick up via osmosis in these settings. As you get more confident, learning to present a paper you've read is an awesome learning exercise for many reasons. Firstly, it teaches you to critically evaluate the information presented in a scientific paper. Secondly, it gives you vital experience in presenting ideas to other scientists who may not be au fait with all the information you are presenting. Thirdly, it requires you to read scientific papers. If you want to do further research, this is a skill you must learn at some time. And finally, you will make connections with other students and staff who can assist you in ways you may not expect: as mentors, to bounce research ideas off, and to provide references when you eventually move on to a job or further study. Your supervisor should be the first person you turn to for advice, but it is also important to have someone who is not directly involved in your research project to discuss work (and, in some cases, grievances) with. There is a lot of advice out there about choosing a mentor, who to look for and how to ask. You may be surprised who is willing to be your mentor - it is not necessary that they are in the same field of research, or have necessarily followed the same career trajectory you hope to follow. And by the same token, stop competing. Unfortunately, this is not something I learned until far too late, being an extremely competitive person. In the end, by comparing your work, your research output or the complexity (or not) of your project to others, you will only hurt your own work and psyche. 6. ...And don't let other people compare you to others either! Once again, something I learned all too late (I still struggle with both 5 and 6 here). There is definitely a comparison ethic in academia, and it is important not to buy into it. It is harmful in all too many ways. Find ways of diffusing situations where you see this happening. I taught an undergraduate lab class where the final assessment at the end of an experiment had a substantial oral component: Students were made to stand in front of a whiteboard and answer questions posed by the two demonstrators responsible for overseeing the experiment. At the beginning of semester, students would often cower beside the board, speak quietly and almost apologetically. One student I recall actually taking to one side after this short exam. His answers were excellent and mostly correct, but he looked at his feet, mumbled and answered in such a passive way. The main thing I remember telling him was to answer everything with confidence, even if he wasn't sure it was correct. It took the entire semester, but by the end he was giving animated responses and regularly getting 95+% for his exams. I have so much more to say on the subject of public speaking, but here I present one of advice: Practice at every opportunity you get. This is a skill which is vital! Writing, like public speaking, is one of the soft skills that students often realize is important far too late. Once you begin to practice writing regularly, it becomes easier. In fact, one of the easiest ways to start is to acquire a Twitter account, and join the academic community on Twitter. Writing less than 120 characters is a reasonably good place to start writing practice. In academia, brevity is mostly rewarded: the ability to succinctly and simply explain your research is important when one begins to write papers. A journal or blog is also a good start. It may not directly contribute to your thesis, but it does give you practice not only in writing, but in developing your own voice. There are individuals whose writing I can recognize from seeing a conference abstract. And the more you practice writing, the easier it will be when you come to write your thesis. I started writing my thesis around the mid-year mark. I was finished with the first draft a week or so early. A number of my classmates stayed at uni all night on the day before their thesis was due to complete them. Start writing as soon as you have material to write. If you have just started your honors year, I guarantee you have enough material to write an abstract and part of an introduction. It doesn't have to be perfect, as long as you write something down it can be edited. As an addendum: NEVER delete anything you have written. In LaTeX, it is possible to comment out text you no longer wish to use. In MS Word, move unwanted text to another document. But never, ever delete what you have written. You never know when it might come in handy. Of course, your honors year is important academically. However, you should not let the pursuit of good grades get in the way of having adequate downtime and enjoying yourself. It is important to work hard, but it is also important to enjoy your work. Ensure you plan times to spend with friends (not talking about work). Get some exercise, even if it's just a walk around the park at lunchtime. Make sure you laugh at least once a day (preferably more). It's easy to be passionate about your work in the future if you always make sure you are having fun while doing it, so start building the good habit now. And you have earned the right to be proud of yourself - you're working hard and I congratulate you for that! I don't think I ever particularly planned to be an astronomer, nor did I ever plan or expect to keep a blog describing my experiences as I (hopefully) pursue a career in astronomy. My 13 year old self, who was told by her year 9 physics teacher that she would be an excellent fit for the job and should pursue it, would be thrilled. My 21 year old self (barely 3 years ago) would probably be disappointed. By the end of my third year of university, I was determined to pursue a career in mathematical physics - specifically conformal field theory. Now I look back on this dream with horror, and relief it didn't work out. I probably would have burnt out quickly - the environment amongst my cohort in math was anything but conducive to good mental health. What's more, I was never really cut out for a career in "true" theoretical math or physics. Of course I only discovered this after being (at the time, heartbreakingly) told that the supervisor I planned on working with would not be able to supervise me, returning to my physics project on the dynamics of stars in the Galactic Center and spending 6 months or more feeling like a failure. My project was too simple, and I was not cut out to be a theorist. Two things I've discovered now are not true: I've since won "best science talk" awards for my honors research at my new university, and the research found me two of my current PhD supervisors. What's more, I was definitely cut out to be a theorist AND an observer (what we call experimental physics in astronomy). It just took me a while to realize how. A month ago, I was standing under the night sky in the Australian outback, as the "Astronomer in Residence" for CAASTRO's wonderful outreach program - I'll write more about this in another blog post. A kid - about 8 years old - wandered up to me, and as we watched Mars rise over the horizon, he asked me "what's a white hole?" Now that's a hell of a question to ask when you're 8. When I was 8, I loved space, but Prof. Andrea Ghez's team at UCLA had barely discovered the S-star cluster orbiting the mysterious radio source SGR A* (which we now know is a supermassive black hole). YouTube definitely wasn't a thing, and none of my astronomy books mentioned such a thing. Honestly, that kid had me stumped. I still don't know what a white hole is. But I did some googling, and we discussed it, and when the kid wandered off satisfied, I had a sudden lightbulb moment. Standing in the desert while a whole bunch of people peered through telescopes at globular clusters, I realized why I do the work I'm doing. We've observed a lot of things about our universe we cannot explain. In fact, we've observed lots of things about our Galaxy we cannot explain. But the main thing is, we've seen them. When I was in my fourth year of my physics degree, I was terrified I would fail quantum mechanics. I shared this with one of the professors I happened to be working with in the undergraduate lab, as a TA. As we walked around, checking on students and showing them how to use beautiful antique travelling microscopes, the professor turned to me, straightened his waistcoat, and said "If anything can happen in the universe, it is mandatory." I passed quantum mechanics with a B, and went on to receive an A in his quantum field theory class. That phrase stuck with me. And that is why I chose to remain in astronomy after my honors degree. Because if we observe something, it is absolutely mandatory we have an explanation for it. There's something far more satisfying (for me personally) about spending 3, 5 or 50 years searching for the explanation for why something is so, as opposed to prophesying the existence of white holes from a piece of paper. Not that there is anything inherently wrong with the latter - there isn't - but it sure as hell doesn't make my heart sing. On my journey to maybe explain a small part of the weirdness we observe in our universe, I constantly encounter bureaucratic nightmares (FermiLab passwords must be changed every six months, contain blood magic curses and at least 4 types of unicode characters), empty instant coffee jars, colloquia from hell and problems I feel, in the moment, I will be unable to ever solve. These local minima, as my supervisor calls them, can be overwhelming. But it's nice to be able to look in from the outside: astronomy is a thrilling job that many would love to have. I hope I can share a lot of the ups, some of the downs and in doing so, keep ahold of the excitement that lead me here in the first place. I am both a theorist and an observer, and for now I am an astronomer.